Rear Admiral Chung’s command period as Somali Basin Coordinator was relatively quiet due to the poor weather conditions associated with the southwest monsoon, which affects the region from June to September. Previous CTF 151 commands have noted that piracy activity decreases in periods of poor weather, as pirate skiffs and dhows are more difficult to operate in high sea states and strong winds. 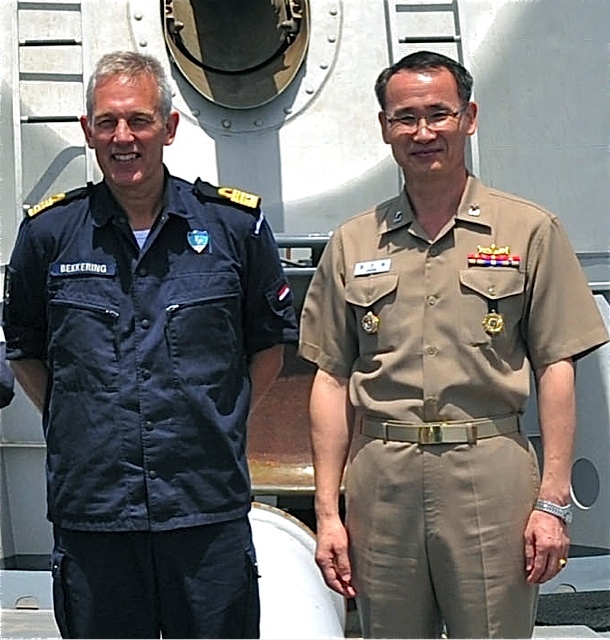 For that reason, Rear Admiral Chung anticipates that his Gulf of Aden Coordinator period from July through September will be busy, since the Gulf of Aden and the Internationally Recommended Transit Corridor (IRTC) are relatively protected from the southwest monsoon weather, and are still navigable by pirate skiffs and dhows.